Register Log In A Gardeners Forum Forums The Banter Hall Happy Birthday Mark and Athena!!!! 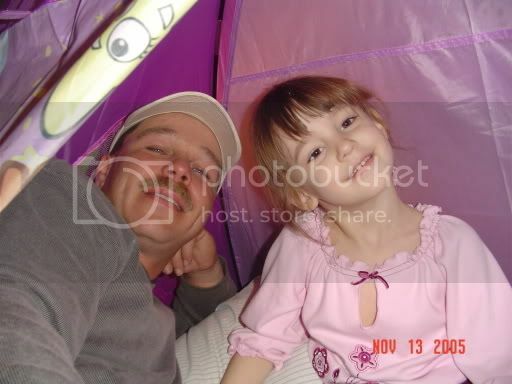 Athena was born 6 years ago on her Uncle Markys birthday!!!! It's pretty cool, he's 36 and she's 6..... I really think that the two of them have a special bond with their birthdays being the same. Their joint party will be on Sunday so mom will be here for it. Happy birthday Mark and Athena!! If you never have you should. These things are fun and fun is good. I guess pretty soon the joint cakes will need to end huh? She'll be wanting Hannah Montana or something like that. Oh well, she never has minded sharing her cake with Mark, I think that she thinks it's cool. The other day she said she wanted to marry Mark because he has a truck and he's strong. I thought you'd say Happy Birthday Whippersnapper and Athena! Happy Birthday Mark and Athena! Hope you have a wonderful day!!! I hope you both have a great day--and a better day on sunday!!! 2 kinds, that's a good idea....she's still young enough where it doesn't bother her now....probably it will next year though! Athena is getting over strep but went to school today, and Mark is getting a cold but went to work today. They like to copy each other. Happy birthday to the two loves in your life Loz. "Grace without perfection is more to be desired than perfection without grace." :dingThe happiest of Birthday wishes for Loz's family .. Mark n Athena...........Give them lotza hugs from all the Garden helpers..
PS... My horse isn't here, this is my Nitemare.. I am strong when I am on your shoulders, you raised me up to be more than I can be. Cute thoughts and graphics everyone....I showed them this topic earlier and they both said thank you, Athena especially got a kick out of it. She's just sad that tomorrow won't be her BD anymore.... But she has Sunday to look forward to since that's when she'll get most of her presents. 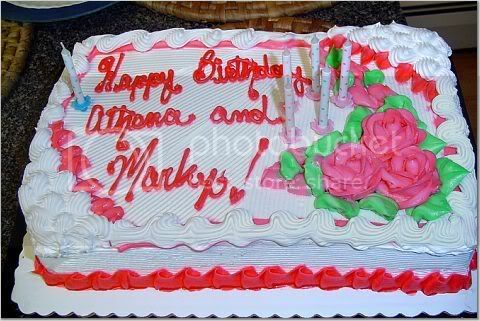 Happy Birthday Mark and Athena! HOPE YOU BOTH HAD A GREAT BIRTHDAY MARK AND ATHENA!!! Plant smiles, grow giggles, harvest love. Yesterday I gave Athena 2 of her small presents, a cool coloring book and an Avon necklace with her birthstone Citrine....she'd been admiring all the birthstone things for a long time in my books and always wanted something with her stone. So I got her a necklace that's a key with citrine stones in it, the top of the key is a heart. She said, Aunt Loz--what is this key for? Then she said, oh I know...it's the key to Gods heart. Oh my did his mom have a red red face.........for quite a while!!!!!!!!! !